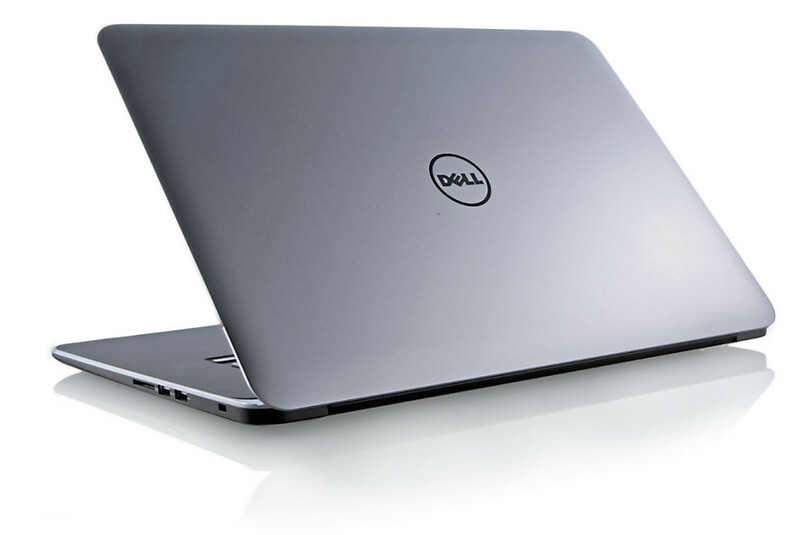 Dell has come up with a worthy rival to MacBook Pro with its XPS 15. The new laptop from Dell is featured with a screen of 4K coupled with high quality design and high end features. Del has designed this device to match with Apple’s new MacBook Pro. The earlier version was introduced with a price tag of $1600 while the new model comes up with the tag of $2550. Along with the price its features also got improved. Now let us go through the features of this model to a brief. Dell built the XPS exterior with a well-fashioned appearance of classic mixture of black and silver. Its case is well-built with solid material without any flaws. The weight of the PC comes to be 4.5 pounds.The lid of the device is made of aluminium that not only adds to its beauty but also increases its durability. The base of the XPS 15 is made of carbon fiber composite along with rubberized grips that can hold the laptop sticky to your laps. The display part of XPS 15 keeps it apart from the previous models. The screen is packed with a resolution of 3840*2160 pixels. It is again supported with Retina enabled display with corner to corner Corning Gorilla Glass NBT. Another feature is that this screen has the support of 10 point multi touch. The IPS technology enables the user to view the screen from various angles, either top or bottom or sides whichever you prefer. Another stunning improvement comes when the screen is accompanied with 4K resolution. This could enhance the display feature and could provide you with better display experiences. But the problem comes when certain apps are not designed to support in 4K resolution screen. So the screen at the same time becomes a boon as well as a bane. The Webcam is placed just above the screen. This is packed with an average quality of lens which will be more than enough to have a nice Skype Conversation.But it won’t be enough to snap great images. The Dell introduces Stereo speakers for its new model. The speakers are good enough to keep you enjoy to good music with considerable amount of bass. Its speakers are well designed to entertain atleast a small group of people sitting around a table. The backlit keyboard makes typing easy even in the dark lights. The keyboard is packed with dual level white LED backlights which are bright enough and even seen in the daytime also. Dell designed the keyboard with a communicative feel with its supportive audible feedback. Even by providing these much features Dell managed to keep the keyboard section smaller. This is achieved by getting rid of numeric keypads. Also the size of function keys and arrow keys were reduced to one third of its actual size. In this Dell managed to place the TrackPad with enough space to the midst of the lap below the keyboard. The surface of TrackPad is smooth enough and requires a smooth touch from top to bottom. Dell presents XPS 15 with fairly reasonable number of ports but is fewer when compared to the business laptop of same dimension. The AC Power jack is placed to the left side of the laptop along with other ports for HDMI and Mini DisplayPort for video outputs. There are also two USB ports with v3.0 to the left along an audio jack and a unique button to monitor the battery charging level. Pressing the button will let you know the battery level of your device even when its power is off. The right side of the device is also packed with an SD card slot along with one more USB port of v3.0 and another USB port of v2.0. The WiFi connectivity to the lap is offered by 802.11ac connectivity. 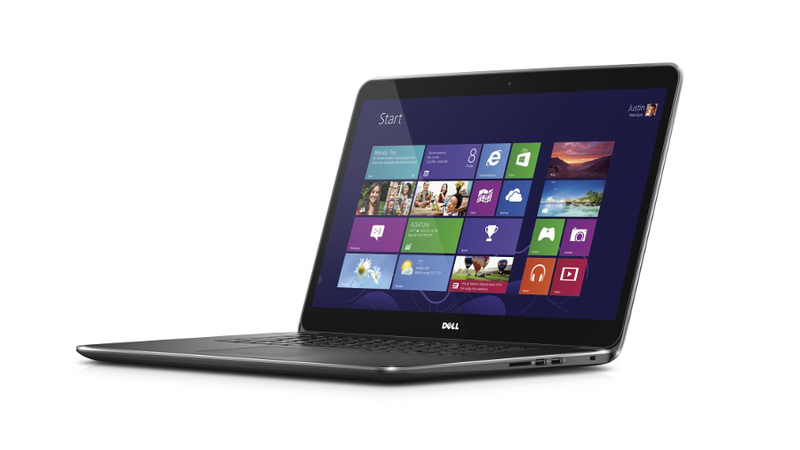 Dell introduced the latest XPS 15 with aprocessor of processing speed of 2.3GHz. The processor comes with i7-4712HQ processor packed with a RAM of 16GB. It is again supported by a graphics of GeForce GT 750M. The storage is provided by 512GB Solid State Storage. With these features it allows the user to play modern games with an average image quality and resolution settings. **For PCMark 8, Cinebench R15, 3DMark Cloud Gate, 3DMark Fire Strike Extreme, Heaven 4.0 Medium & Ultra Quality and Battery Life; higher value is better while Handbrake 0.9.9 and Photoshop CS6 lower value is better. With its stunning and attractive screen, this XPS 15 from Dell is expected to compete with Apple’s MacBook Pro. With its cool designing and high end performance features, this new series is expected to be liked by most of the users. Also the latest generation of processor from Intel will attract users who would prefer high end laptops to this device.